Let's go back to the Olympics. The Winter and Summer Olympic Games used to be like twins (although the Summer Olympics are older). Until 1992 they were held in the same years. Now they are held on separate four-year cycles. 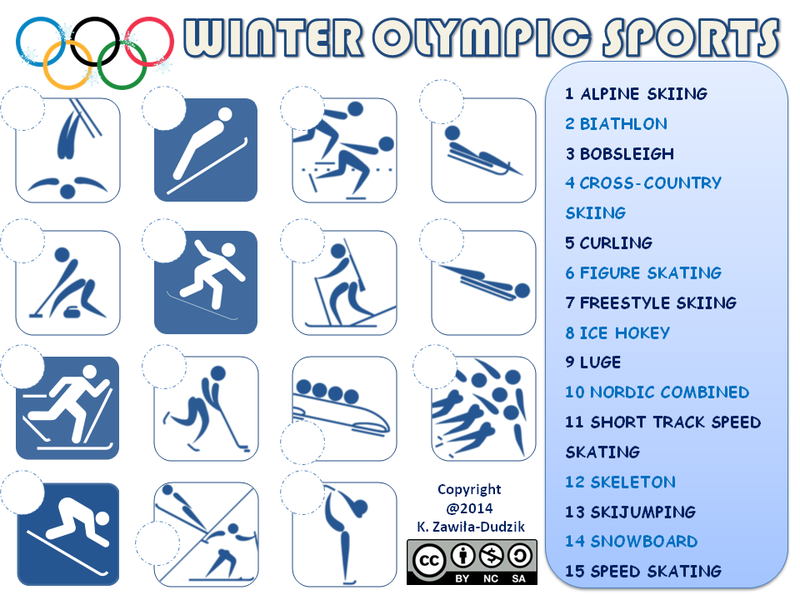 Fun facts: Poland is one of 12 countries that have attended every Winter Olympic Games. The USA has earned gold at each Games. Pictograms from the Public Domain. 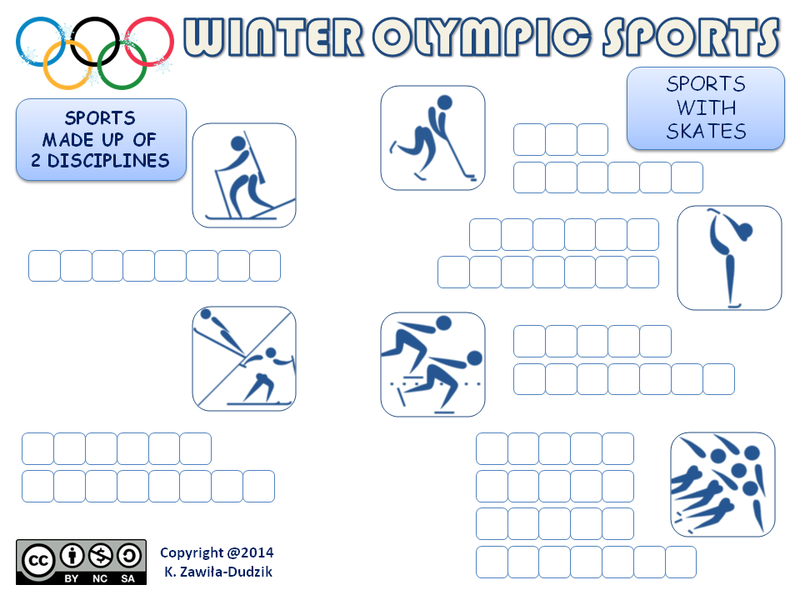 Winter Olympic sports are sports practised on snow or ice. Some of them combine two sports, some use skis or special sleds. Some of them look similar, e.g. luge and skeleton. To know the difference remember how you sit (luge - face-up, skeleton - face-down). It's also worth to know how to pronounce the names. Most of them are easy, while others can be tricky. For example, luge. The word is of French origin, so its pronunciation is not obvious. 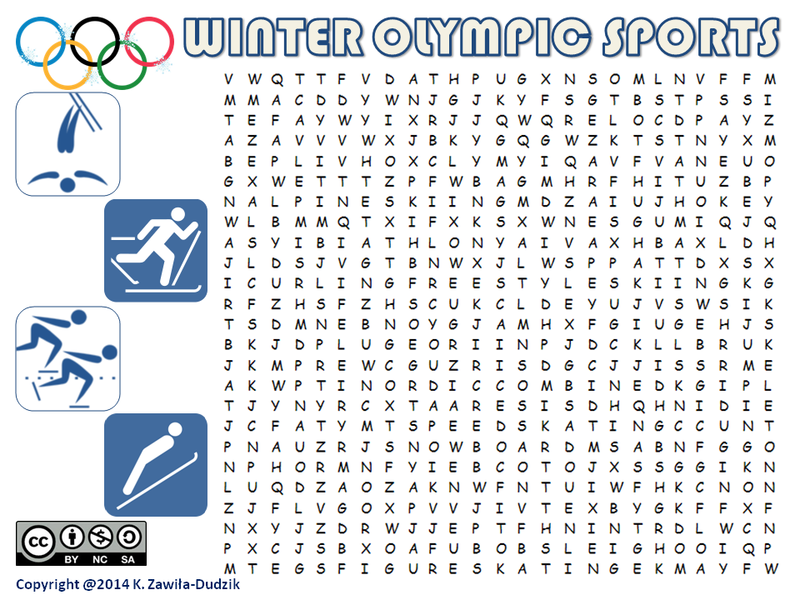 Do you know all the Winter Olympic sports? Try this wordsearch to find out. I love teaching, I love eTwinning. How to count the uncountable?